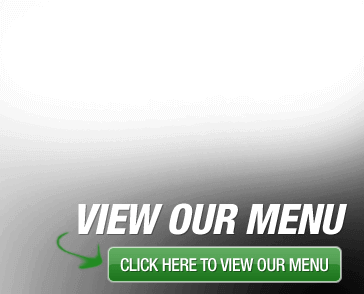 Welcome to our website and thanks for checking us out. 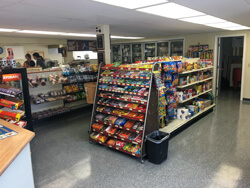 College Carryout has served the greater Augusta area for over three decades (37 years!!!) and we remain commited to satisfying our customers. We are proud to be an active member of the community and our entire staff would like to thank everyone who has made our success possible. Our goal at College Carry-Out is to serve great tasting pizza. Our " Formula for Success " is based on experience,tradition, family values, quality products and customer satisfaction. At College Carry-Out we don't want to be the biggest or the fastest pizza maker in the business... Just the best !!! College Carry-Out Was Voted "Best of the Best", By Market Survey's of America !!! The Best Deli / Sandwich Shop & The Best Pizza In The Greater Augusta Area !!! 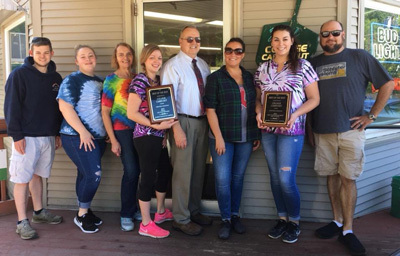 Thank You To Our CCO Crew, Augusta Maine & All of Our Customers!!! 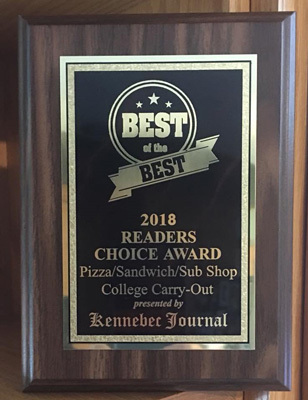 College Carry-Out Was Voted "Best of the Best", By Market Surveys of America! The Best Pizza & The Best Deli Sandwich Shop In The Greater Augusta Area for 2017 !!! Thank You Augusta Maine & All Of Our Customers !!! 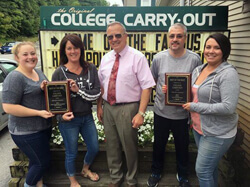 College Carry-Out Was Voted ~ The Best of The Best 2014 ~ * Market Surveys of America !!! The Best Pizza & The Best Deli / Sandwich Shop In The Greater Augusta Area !!! We Did It Again!!! 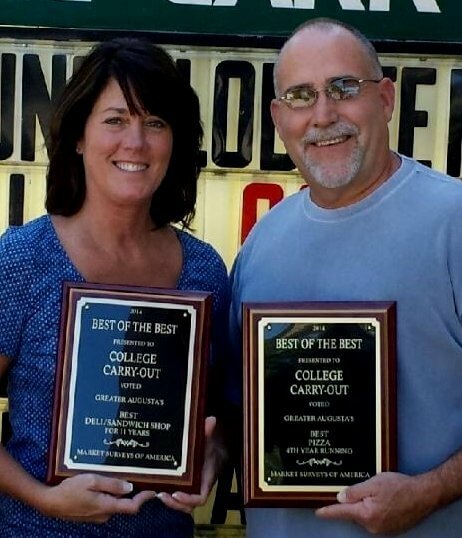 College Carry-Out Was Voted ˜ The Best Of The Best 2012 ˜ By Market Surveys of America!!! The Best Pizza And The Best Deli / Sandwich Shop In The Greater Augusta Area!!! We Are Proud To Be An Active Member Of The Community And Our Entire Staff Would Like To Thank Everyone Who Has Made Our Success Possible!!! Here's Kathy & Lou with the 2012 Team Trophy!!! The College Carryout Men's Softball Team won its 7th League Championship in 10 years, this season in the Augusta Recreation Softball League!!! A Big Congratulations goes out to you guys…Mark Landry, Aaron Williams, Aaron Lapointe, Brian Swift, David Whitney, Carlos Arteag, Jody Jose, Shawn Lloyd, Ken Goff, Justin Smith, Jesse Wing, Mike Bonenfant, Tim Rodrigue, Keith Genest, Mike McArthur, Travis Brennan & Tim Charest !! !